Winners of the Performance Awards, Branch Category – Winner, Bambalapitiya Branch (top), Runner up – Battaramulla Branch (left) and the 1st Runner up – Kottawa Branch (right). 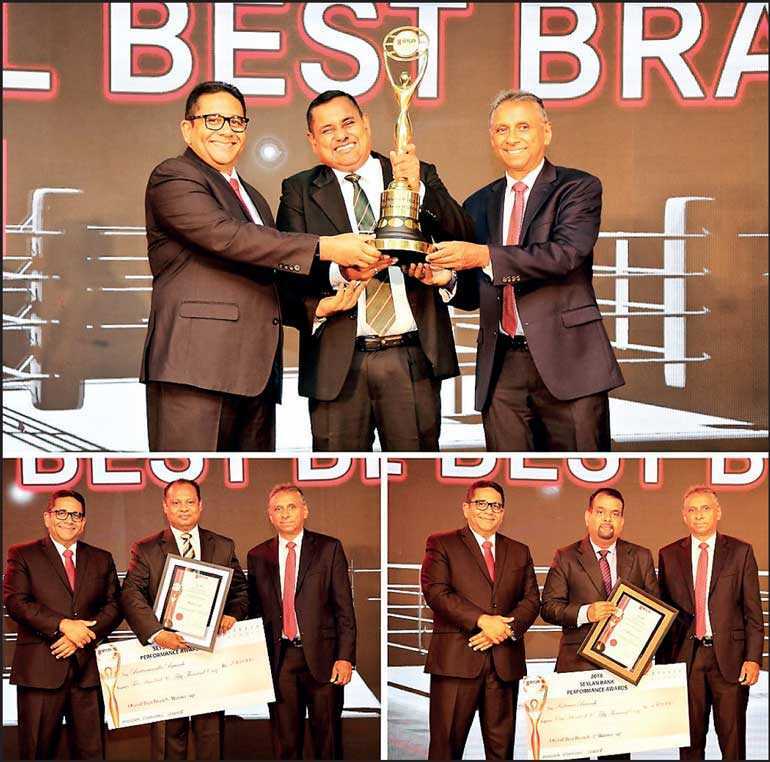 Seylan Bank, one of Sri Lanka’s leading private banks, recognised the exceptional performers from amongst its 170 branches as part of the bank’s annual recognition program held at the Cinnamon Grand Hotel, Colombo recently. Organised for the seventh consecutive year, Seylan Bank’s Performance Awards was instituted to recognise and felicitate trailblazers who have surpassed individual targets, branch level targets and regional targets by showcasing exceptional commitment and teamwork whilst building values with the bank’s clientele during the year 2018. This year’s Performance Awards was held under seven categories. Bambalapitiya Branch was awarded the Overall Best Branch of the year 2018, with Battaramulla branch placed as the 1st runner-up and Kottawa Branch as the 2nd runner-up. Metropolitan II was recognised as the Best Performing Area. In addition to the overall main awards, 51 awards were presented to winners in different segments recognising best performers each branch category as well as top achievers in various segments such as Deposits, Advances, CASA, Trade services, etc.